WASHINGTON, DC – September 6, 2017– Broadcom Foundation and Society for Science & the Public today announced the selection of the Top 300 competitors in the seventh annual Broadcom MASTERS® — the nation’s most prestigious Science, Technology, Engineering and Math (STEM) competition for middle school students. The Broadcom MASTERS, a program founded and produced by the Society for Science & the Public, seeks to inspire young scientists, engineers and innovators who will solve the grand challenges of the future. The Top 300 Broadcom MASTERS (formerly referred to as semi-finalists) represent middle schools from 37 states, Puerto Rico and the Department of Defense overseas. Top 300 Broadcom MASTERS include an approximately equal number of males and females, with 147 girls and 153 boys. The states fielding the most Top 300 competitors include California with 66, Florida with 31 and Texas with 21. The students’ names and a state-by-state breakdown of the Top 300 can be found at https://student.societyforscience.org/2017-top-300-masters. The Top 300 Broadcom MASTERS were selected from a pool of 2,499 applicants from 49 states and 4 territories. These competitors were evaluated by a panel of distinguished scientists, engineers and educators. The students were judged on creativity and originality of their science fair project, their ability to engage in analysis of data, and understanding of STEM principles as they relate to the real world. The 2,499 applicants were nominated to compete in the Broadcom MASTERS by placing among the top 10 percent of middle school competitors at Society-affiliated regional and state science fairs. In recognition of their achievements, Top 300 Broadcom MASTERS will receive a prize package containing an award ribbon; semifinalist certificate of accomplishment; Broadcom MASTERS backpack; a Broadcom MASTERS decal; an Inventor’s Notebook, courtesy of The Lemelson Foundation; a one year subscription to Mathematica+ software, courtesy of Wolfram Research; and a one-year family digital subscription to Science News magazine. In recognition of the role that teachers play in the success of their students, each designated teacher also will receive a copy of the Science News for Students Invention and Innovation compilation book, courtesy of The Lemelson Foundation; and a Broadcom MASTERS tote bag and a one-year digital subscription to Science News magazine. 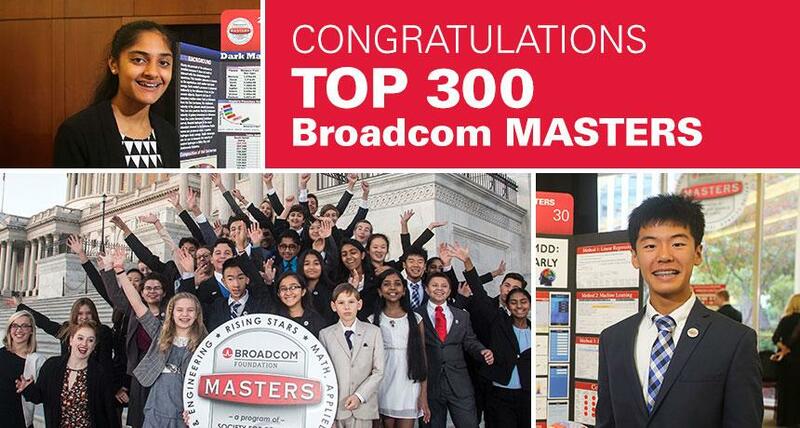 The 30 Broadcom MASTERS Finalists will be announced on September 20. Finalists receive an all-expense paid trip to Washington, DC from October 20 – 25 to showcase their science fair projects at Union Station and compete in a four-day STEM competition for more than $100,000 in awards and prizes, including the coveted $25,000 Samueli Prize. Other top awards include the $20,000 Robert Wood Johnson Foundation Award for Health Advancement, the $10,000 Marconi/Samueli Award for Innovation and the $7,500 Lemelson Award for Invention.  Florida has 31 students recognized as part of the top 300 Middle School Students in STEM Competition out of nearly 2,500 nominees who are competing for a trip to Washington, DC and $100,000+ in prizes. 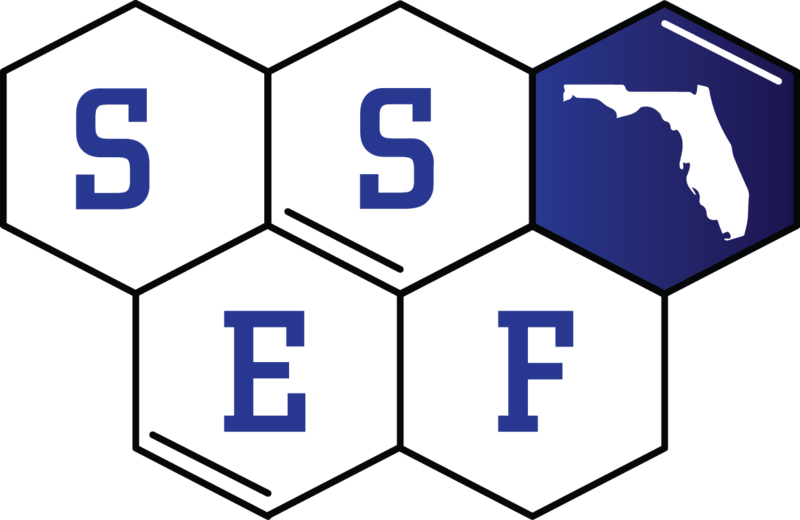 These 31 students are from 13 of our Regional Fairs in the state of Florida! The Pearl of the Ocean: Do Freshwater Releases from Lake Okeechobee Affect the Filtration Rate of Eastern Oysters (Crassostrea virginica) in Southwest Florida Estuaries? Neonicotinoids’ Role In Colony Collapse Disorder: Infliction or Fiction? Can Cryogenically Preserving Seeds Save Florida’s Citrus From Extinction? From Rubbish to Radishes: Does Compost Produce Increased Plant Growth Over Manufactured Fertilizer? Can We Have Some Quiet Please? The Effects of Shape and Profile on Noise! Can Snails Act as Biological Control Agents for the Aquatic Invasive Plant, Hydrilla? 2019 Fair Information – Preparing for the 2019 Event!